Personalized coupon for $100 off a fireplace, stove or insert. until it's done to your satisfaction. Heffley’s Hearth & Home, Inc. is Whitesboro’s leading provider of indoor and outdoor fireplaces and stoves. Our inventory includes wood, pellet and gas models, alongside a full range of insert and accessories. We also sell grills, fire pits, smokers, and other accessories! Stop by our showroom today to see all of the top name brands we offer. Our inventory and capabilities span all types of stoves, including wood, pellet, and gas. We sell and repair models from some of the best name brands on the market. We have knowledge stretching back to the 1950s, giving us decades of insight and experience when it comes to the products we sell and service. 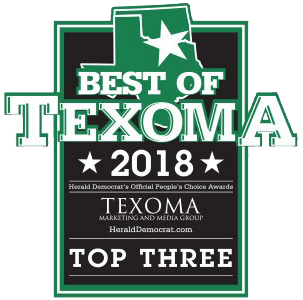 We’ve won the Best of Texoma Award for four years running (2015-2018) and have been named as one of the top destinations for outdoor furniture and accessories! In addition to fireplaces and stoves, we also sell grills, fire pits, smokers, and other accessories. Stop by our showroom or mention our website to receive $100 off your purchase of a fireplace or stove. 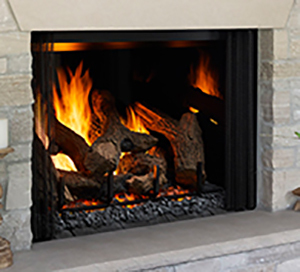 Whether you want to add some natural warmth to your home or appreciate the ambiance of a quality fireplace or stove, Heffley’s Hearth & Home, Inc. is here to provide you with the products you’re looking for. As the region’s premier retailer of stoves and fireplaces in Whitesboro, TX, our showroom contains a great variety of options from some of the industry’s most respected brands—in styles, price points, and capacities that are right for any home. Best of all, our staff is totally knowledgeable in everything we sell and will gladly work with you to narrow down your options. If you do end up buying a gas, pellet or wood stove in Whitesboro, TX from us, you’re also going to get access to some of the best services in the business! We install these products flawlessly in your home to ensure safe, reliable operation. If there are any problems we can also repair them as well. In addition, for fireplaces and inserts, we’re also qualified chimney experts, providing inspection, repair, and cleaning to keep your home safe. Just when you thought we couldn’t be any more helpful, we’ll even assemble and install your outdoor products, like smokers, fire pits, grills and outdoor furniture! We want you to live comfortably indoors and out—stop by our showroom today and learn more about how we make that possible. Looking for a warm new addition to your living room? How about outdoor amenities? We’ve got the products you’re looking for, at the right price. Contact us today or visit our showroom!